For the launch of a book in Hyderabad recently, Rakul kept things fairly simple in separates from Cottons Jaipur. 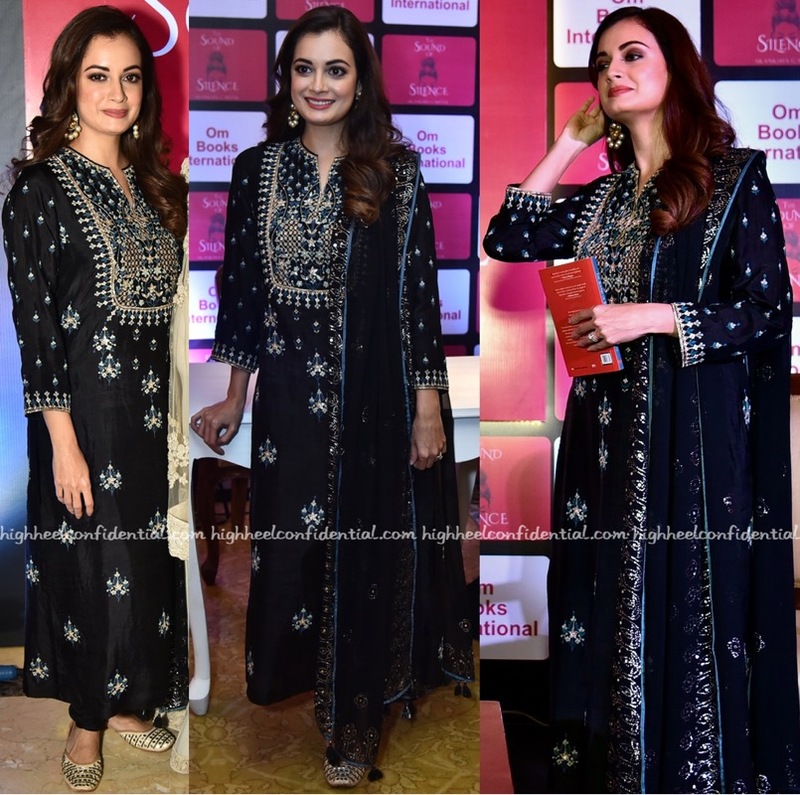 Her accessories for the occasion included jewelry from Sangeeta Boochra. She looked nice. 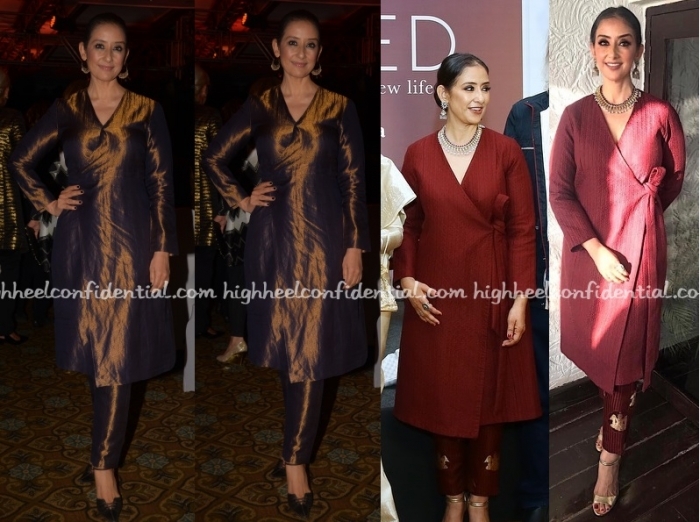 At two recent events, Manisha was seen wearing Raw Mango wrap kurtas and pants and while the bronze was a delish color on her, it was the oxblood one that I liked her more in. At the launch of a children’s book, Deepika was seen in Gauri and Nainika ruffled top and red pants paired with hot pink satin Balenciaga pumps. At a book launch on Thursday, Juhi was seen wearing an embellished blazer by Sakshi K Relan over a black top and black pants with earrings from Gehna and a ring from Jet Gems. In theory, a statement jacket should immediately stand out but because the blazer wasn’t well tailored, the look wasn’t as effective. Having said that though, she looked nice.